The Chinese penhold style uses a round racket with a short handle. On the forehand side, the thumb lies against the side of the handle more or less parallel to it and the index finger curls partially around the end of the handle. On the back, the middle, ring and little fingers are bent to the side. This allows greater flexibility in adjusting the table tennis racket angle by pushing in either direction with the thumb and provides greater range of motion for the wrist. These are the leading factors that give this style an advantage in serving. 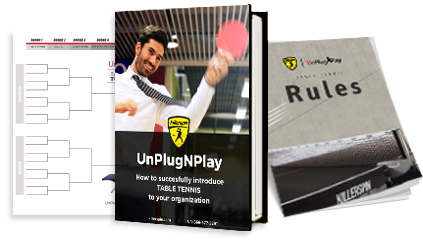 The fact that the racket hangs downward makes attacks over the ping pong tableeasier because the player doesn't have to fear hitting the table with his hand. Most players using this style have exceptionally quick footwork that allows them to play most balls with their forehand. The modern 2 sided Chinese penhold style relieves pressure on the footwork somewhat because it makes it possible to loop the ball on the backhand from a position similar to that of a [shakehander 00:01:04] . For that, the player turns the racket with the palm facing backward and strokes over it. The more wrist he employs, the more severe side topspin is generated.